We made slot name changes this morning to the proof set. The three 2017 slots are: 2017 Silver Bluenose, 2017 Silver Wings of Peace and 2017 Our Home & Native Land. Your coin is correctly listed in the 2017 Our Home & Native Land slot. Once you receive your graded coins in hand, please email the certification numbers to registry@ngccoin.com and we will be happy to assist. Thank you. I don't know how else to say this---there are only TWO 2017 COINS. The 2017 Silver Bluenose and the second coin is the wings of peace coin FROM the Our Home and Native Land Set. 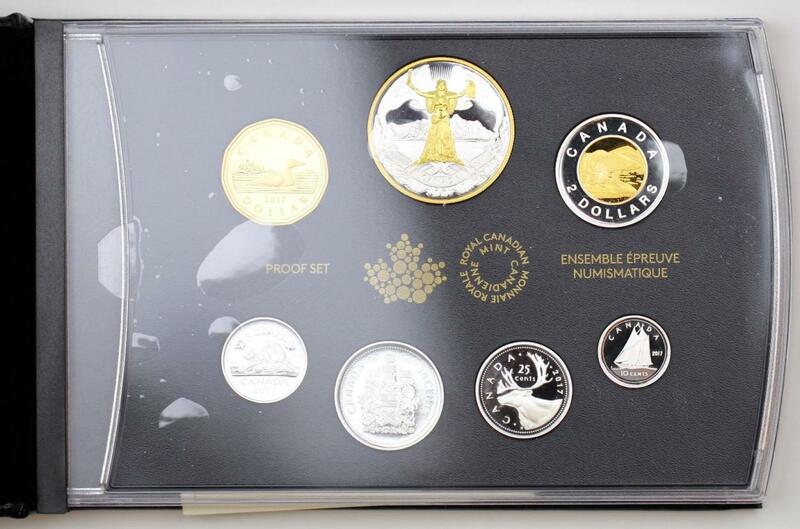 The coins of the "Our Home and Native Land" proof set have individual names--the 10c coin in this set is called "Wings of Peace"
PPS: For the $2 Twonie sets for 2017, for example, what the heck is the "two men in a canoe" slot? 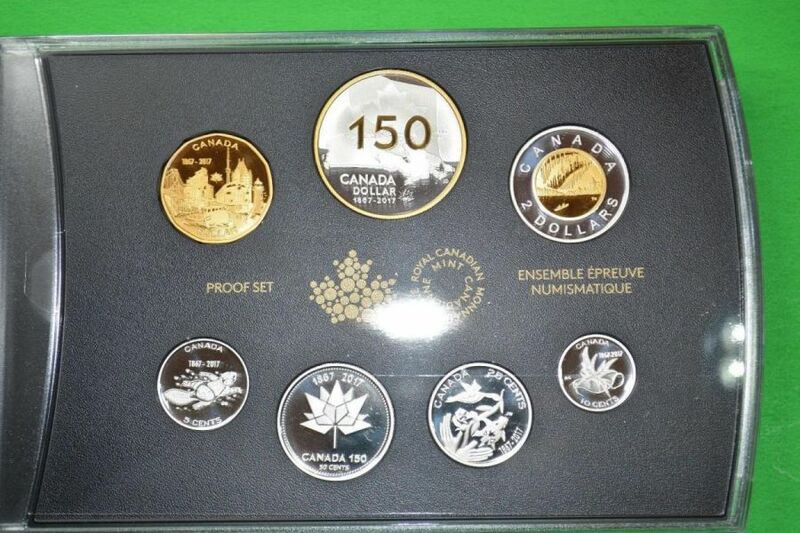 I have checked with several top Canadian coin dealers, looked at the Canadian mint website, googled the words and checked every 2017 Canada coin listing on ebay and have seen ZERO reference of "two men in a canoe"...maybe I'll just remove that set too. I'm thinking that collecting modern series or sets is just insanity or some form of self punishment--definitely not enjoyable trying to keep up with every tiny variance the mints make ( minted in S, minted in W, minted in P, burnished, SP, enhanced finish, first release, early release, first minted yada yada....92.5%, 99.9%..etc etc). NOBODY seems to know what is what. There are 10 different labels and names for the same coin sometimes..." Silver Proof " , "Gilt", "polar bear", 92.5% silver", "alloy"...all names I've seen for the same 2016 Canada Proof $2 coin. (Not to even mention the 99.9% silver proof set with the gold gilt Dollar coin)---insanity. After my last reply I checked my email and had gotten a reply from a large Canadian coin dealer---T***sman Coins informs me that the $2 Coin in the "Our Home and Native Land" set, which is called "Dance of the Spirit" because of the Aurora Borealis on it, has also been called in slang terms " 2 men in a canoe" because the coin has the Borealis lighting across the sky as 2 men paddle on a lake in a canoe below. 2) 2017 "Our Home and Native Land" , "Dance of the Spirit" or "two men in a canoe"
Pictured are the 2 different 2017 proof sets--1) is the 150th anniversary proof set and 2) Our Home and Native Land set ( Canada is so messed up, the commem coin that has the big 150, is not on the 150th anniversary set but in the "our home and native land set)--you'll notice the " 2 men in a canoe" on the "Dance of the Spirit" coin on the Home and Native Land Set----also you'll notice the "wings of peace" 10c coin in the "Our Home and Native Land" Set. Again, 2 sets, a 150th anniversary set and the second "H & N L" set has a name for each coin---not 3 sets and not 3 different coins and NOT 3 different slots needed for 2017 Canada Proof sets. Thank you for the feedback. We have made any necessary changes at this time. Nevermind--the only "changes" I saw were several thousand points removed from the set value as each coin in both of those sets was reduced. Thanks anyhow, I have decided to just remove all of my Canada sets--in fact, the sets are already gone. 10+ years building #1 sets and I can't take the confusion anymore. Between the plethora of new Canada issues for simple, annual proof sets and the Registry's inability to simply add 2 slots correctly ( The Canada coin census is even worse as about 70% of the proof issues aren't even listed at all--look it up and you can see that roughly 1/3rd of proof dime and $2 coins are even listed at all). I'm going back to raw coins and albums--I'll still enjoy the hobby and as a bonus, I won't waste half of my coin budget on grading fees either.........Thanks, you really have done me a great favor. Please add a new slot for the new China S5Y Proof Panda - 35th Anni of the Gold China Panda Coin. This is the first new S5Y proof panda since 1998 - Please add this new panda to the S5Y Panda sets - Please note - you may have to change the set name as most say 1993-1998. Perhaps they could change to 1993-1998, 2017? The 2017 S5Y Gold Panda Issuance 35th Anniversary coin is eligible in the following set: Panda Anniversary Issues, Complete. Please let us know when we may be of further assistance. Thank you. Also - Why does this set contain real coins which are legal tender and Medals which are not legal tender? Silver 5Y Panda, 1993-1998, Mint State and Proof (Incl. Varieties) sets also? If you see duplicates elsewhere, please email us at registry@ngccoin.com, and we are happy to take care of it. Please let us know when we may assist next. Can you split the 1862(B&M) TYPE B/2 1/2 Rupee Slant top 1 (B/2) slot (India - British - 1/2 Rupee, 1862-1947, Circulation Issue) into two slots, the 4.5 panels and the 4.75 panels types, since you differentiate these types in grading and also in the census. Thank you for the request. We have made the necessary changes to the set. Please let us know when we can further assist. You may email registry@ngccoin.com with any questions or requests regarding the registry. The 2017 OUR HOME & NATIVE LAND SILVER DOLLAR PROOF SET - WINGS OF PEACE slot in the 10 Cents, Elizabeth II, 1981-Date, Proof Issue registry set is for the non-silver 10 cent proof coin. This set contains both Silver and alloy coins. Please let us know when we may be of further assistance. Need a slot for Moana and Maui. I am not sure which collection it belongs to? #4515190-007. Thank you. Set Name: 225th Anniversary US Mint Enhanced Uncirculated Coin Set, 2017, Complete. This coin is eligible for the Niue Silver $2, 2017 Proof set. A slot already exists. Thank you. Can you add a slot for the "2017 Microcosm" coin in the Austria "Silver 25 Euro, 2003-Date, Mint State" set. Thanks. Thank you for the slot request. We have added the slot and you may now enter your coin. For a faster response, please email registry@ngccoin.com and we will be happy to review your request. This 1989 China Silver 10 yuan MS PL coin would be eligible in the 1989 slot. Thank you and please let us know when we may assist in the future. This is the 31st installment of our monthly column devoted to modern Chinese varieties. This month we will look at another popular Chinese Silver Panda Variety. In 1989, China struck both Mint State and Proof Silver 10Y Pandas. The Proofs could be distinguished from the Mint State coins by the letter “P” located on the reverse side (Panda side) of the coin surrounded by a circle in the field at 9:00. The Mint State coins can be found with two distinct looks to them. The first type has a “normal” look for which the devices and field have a similar texture. Other examples exhibit devices that are frosted that contrast with the mirrored fields and look “Proof like” in appearance. These coins look closer in appearance to the Proof coins than Mint State. Why would this newly recognized be buried in with normal 1989 MS panda coins ? Seems to me that with NGC recognizing the variety as such with the new PL code should warrant its own slot. Can you please add a new slot for the 1983 1 oz BU double die libertad set? This is a newer variety discovered earlier this year. The 1983 seems to be rarer than the 1982 and 1987 double die but not as rare as the 1988 double die. 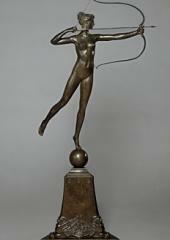 Thw last time i checked there were about ten 83 libertads already graded by ngc. If you have a certification number you would like us to review, please send the information to registry@ngccoin.com and we will be happy to determine where the coin is eligible. We have added the requested slot to the Mexica: Silver 1 Onza, Libertad, 1982-Date, Mint State, Including Varieties set. Please let us know when we can be of further assistance. Thank you for sending your certification number. Our team has just consulted with our senior graders. They have determined that they will not be recognizing these as "Mirrored" or "Frosted" (as they have designated other S10Y coins.) However, we do recognize these these two coins are in fact, different, so we have added a separate slot in the Variety Mint State set. Thank you.